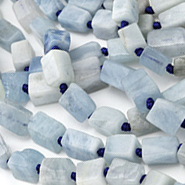 Fluorite beads come in many colors, the most common being transparent, green, yellow, and purple. 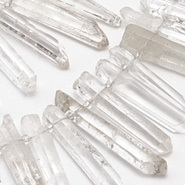 Often, different colors occur within distinct zones in a single crystal. 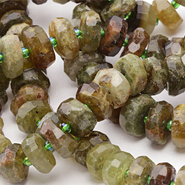 Our Green Fluorite gemstone beads are a lovely icy green color. 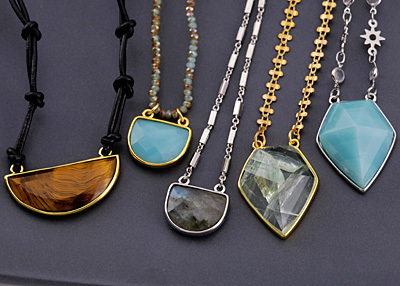 The ancient Egyptians used fluorite in statues and in carving scarabs. Artifacts of carved fluorite have been found in the ruins of Pompeii. In addition to being used as a semiprecious gemstone, Fluorite is used as a source of fluorine for the fluoridation of water. 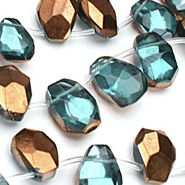 Fluorite is also used instead of glass in some high performance telescopes and camera lens elements. 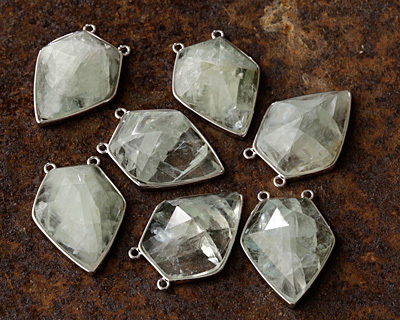 Chemically, Fluorite is calcium fluoride, a compound of the elements calcium and fluorine. However, although it contains fluorine, its name does not come from its chemical composition. 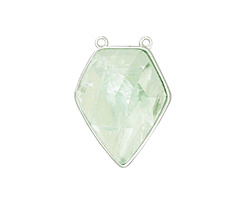 Instead, it received its name from the Latin word “fluere”, which means “to flow”, because fluorite melts easily.